The research analyzed survey responses from more than 60,000 college students at 108 schools. Asian American, Pacific Islander and multiracial college students are more likely than white students to have considered or attempted suicide despite reporting lower rates of psychiatric diagnosis, a new analysis has found. The research, published last month in the journal Psychiatric Services, analyzed survey responses from more than 60,000 college students at 108 schools. It found that while minority students generally reported lower rates of psychiatric diagnoses and symptoms of mental illness, there were notable exceptions. For example, all minority students had either statistically equal or higher rates of suicide attempts compared to white students, depending on the statistical analysis used. 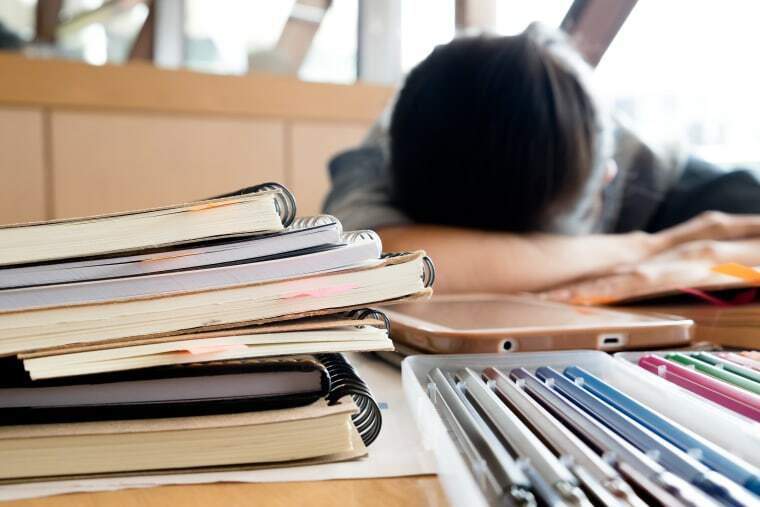 And Asian American and Pacific Islander students were more likely to say they felt hopeless, so depressed that it was difficult to function, and overwhelmed by anger, the study said. “To me, it suggests that there may be a mismatch between the attention minority students get from health care services and what they may actually be struggling with,” Dr. Justin Chen, a psychiatrist at Harvard Medical School and an author of the study, told NBC News. The analysis found that 10.4 percent of Asian American and Pacific Islander students had thought about suicide compared to 9.5 percent of white students. Yet while 28.2 percent of white students said they had received a psychiatric diagnosis, only 13.8 percent of Asian American and Pacific Islander students said they had. Researchers wrote that their analysis was consistent with prior research that found that minority students experienced depressive symptoms at greater severity than white students but used mental health services at lower rates. Minority students may also think of and express mental health symptoms differently from white students or be reluctant to seek aid, researchers noted. “Psychiatric illness affects all students, but students from minority groups appear to be particularly vulnerable to being left behind by mainstream providers of mental health support,” researchers wrote. Researchers said that universities could consider putting in place culturally informed mental health programs to address these issues. Chen referenced AWARE, a project at Boston University targeted at issues faced by Asian American women. The Massachusetts General Hospital’s Center for Cross-Cultural Student Emotional Wellness, which Chen founded, is also developing mental health programs focused on communication among family members. Chen said future research could explore the experiences of minority students seeking help for their mental health as well as how attributes like race, sexual orientation and gender interact.